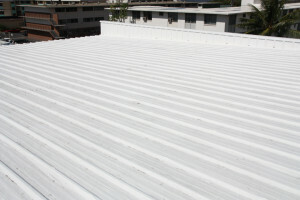 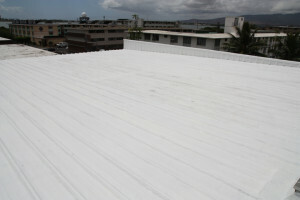 Aldo – Acrylic Roof Coating – White | West Oahu Roofing Inc. 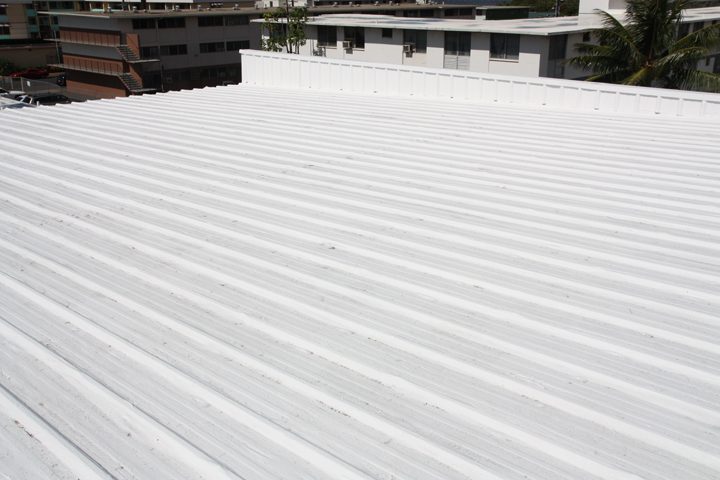 This project was necessary to extend the life of the existing metal roofing which had problem areas due to rust. 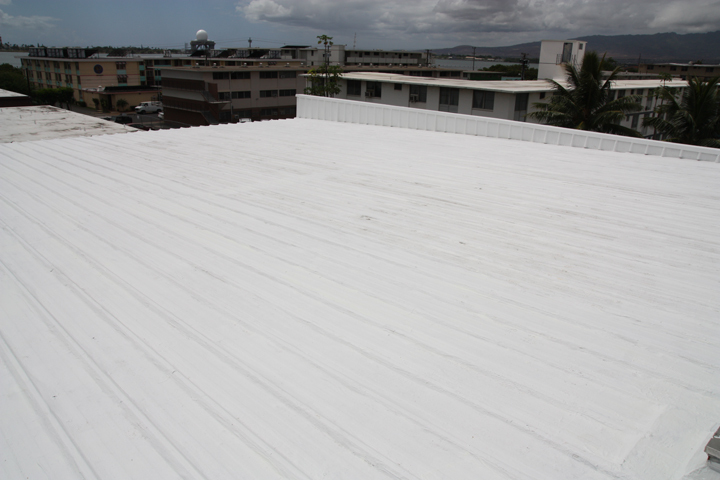 All exposed fasteners were coated with a high viscosity ALDO coating and the entire roof surface was coated with an ALDO acrylic roof coating embedded with polyester fabric.